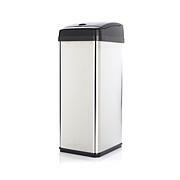 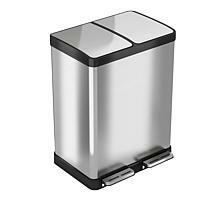 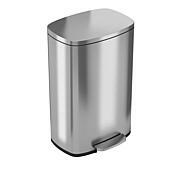 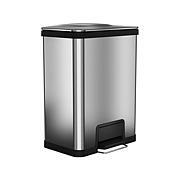 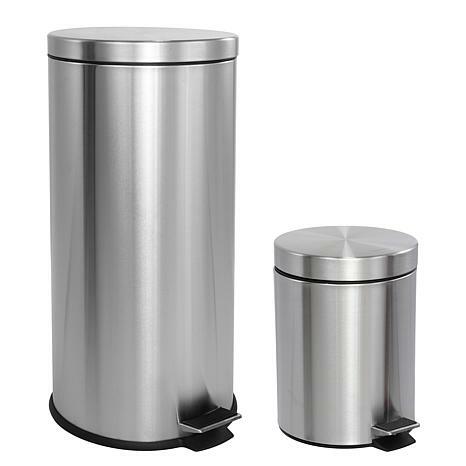 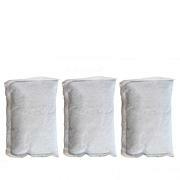 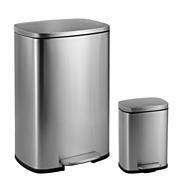 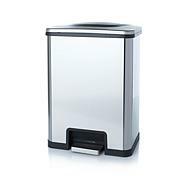 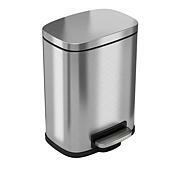 This round 8-gallon trash can is perfect for home or office. 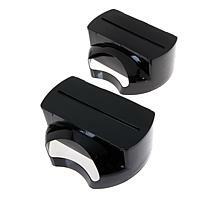 Featuring a profile hinge that allows it to sit close to a wall or cabinet, it's finished in brushed stainless fingerprint-resistant surface. 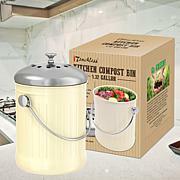 As good as it looks, it's just as functional -- the step-on mechanism allows for a smooth opening while the removable plastic liner makes bag changes a cinch. Order this can today and get a 1.3 gallon mini trash can, too!